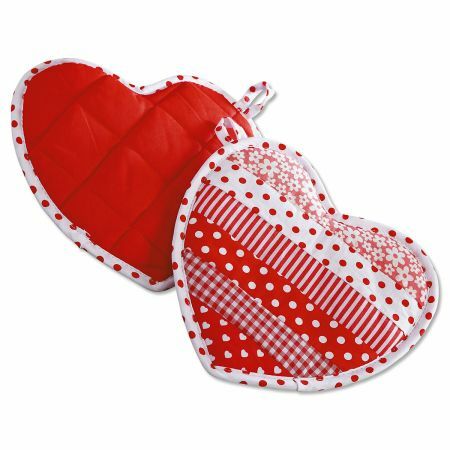 Fire-resistant hot pads are sweet accents for any kitchen. Fronts are 100% cotton; backs are poly/cotton. 100% polyester fill insulates and protects. 8" x 8" each, plus hanging loop. Set of 2.